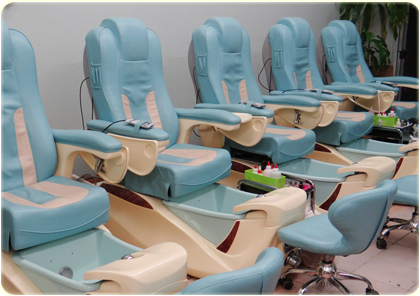 WELCOME TO SAIGON NAILS SPA IN GREEN VALLEY! Located at a beautiful place in Green Valley, AZ 85614, Saigon Nails Spa offers you the ultimate in pampering and boosting your natural beauty with our whole-hearted, creative & professional staff. We provide you the variety of services such as Manicure, Pedicure, and Acrylic together with a large selection of colors for our valued customer to choose. In addition, we also use natural organic and high quality brand name products for all provided services. Besides, our salon is equipped with modern tools and instruments. Clean and beautiful space would make you feel comfortable, relaxing, all of your fatigues and tiredness will immediately fade away!